I don’t know about you but house cleaning is generally not at the top of my list of fun activities. 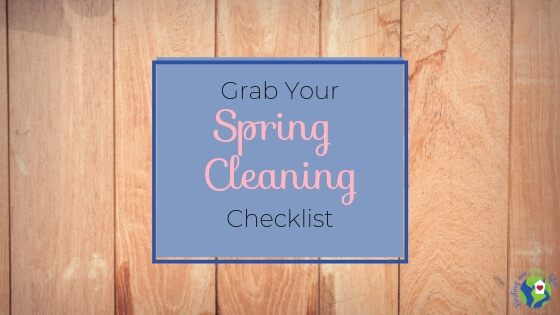 Floor mopping, dusting, window washing, stove cleaning – these all are generally at the top of the “to do” list but somehow, the last things to get done. Not only are they time consuming but for the longest time, I needed a gas mask to survive house cleaning. That fresh, clean, lemon scent is nothing short of overpowering and headache inducing. I love a fresh lemon scent as much as the next gal but somehow, I’m pretty sure when scents were first added to cleaning products, they were much more subtle. 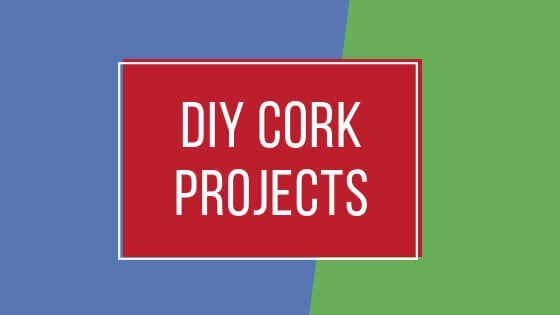 Soon after I signed up for a Pinterest account, I became a “pinning” machine. “Pins to the left, pins to the right and you’re the only pin in town”. Surely you’ve heard of Jimmy Buffet? Anyway, I scaled back on the eco-friendly products I was buying and started making my own cleaning products. I bought the ginormous size white vinegar and baking soda and started mixing stuff up in my kitchen. The problem I had, nothing was working very well for me. I began to research other options. I read about microfiber but could you really get things clean with microfiber? Wouldn’t you need other chemicals? Then I heard about Norwex. In my mind, cleaning with microfiber is superior to cleaning with standard cloths for several reasons. The fibers in a microfiber cloth are much smaller and much denser than ordinary cleaning cloths. With a damp microfiber cloth, more dirt/debris/germs/etc. are being picked up as the cloth is wiped over a surface. When you clean with microfiber, you are mechanically cleaning versus traditional soap and water type cleaners that chemically clean. When a surface is cleaned mechanically, nothing is left behind. Cleaning chemically can leave behind a residue that is filmy and attracts more dust/dirt/debris/etc. which starts the cleaning cycle all over. Norwex microfiber is one of the most innovative products in the cleaning industry, manufacturing products that radically reduce harsh chemicals in the home. Norwex microfiber is 1/200th the size of a human hair and has the ability to remove up to 99% of bacteria from a surface when following the proper care and use instructions. Many of the Norwex microfiber products contain BacLock, an antibacterial agent for self-cleansing purposes only. This agent prohibits the growth of bacterial odor, mold and/or mildew growth within the product. Disclosure: I am a Norwex Independent Sales Consultant, I will earn a commission off anything purchased via the links on this page. All opinions stated here are my own and not to be confused as company statements. I heard about Norwex in a Facebook Group and everyone who commented on the post was raving about the products so I figured I’d better check this Norwex out. The products looked pretty stylish and fancy for cleaning but what spoke to me were the company’s values. Reducing waste, eliminating harsh chemicals from the home and doing good things for our planet. The question though, can you clean with microfiber and just water? 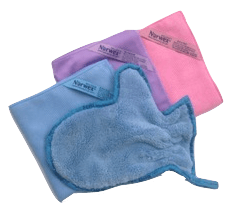 Will a Norwex microfiber cloth and water be enough to remove dirt, grime, debris, and germs? Any chance you’ve ever had butter on your window? If you have small kids, the struggle is real. If not, maybe your party last night got a little out of hand. Don’t worry, I’m not here to judge. How much window cleaner and how many paper towels did it take to get it off? 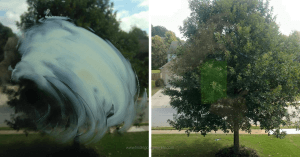 Few swipes with a wet Norwex EnviroCloth and my window was clean and streak free. I use Norwex Microfiber to clean everything from my kitchen to my bathroom to my living room and everything in between. Heck, I even use these products to clean myself and my car!?! And since you’re using just a cloth and water, you’ll be hard-pressed to find anything that can be damaged. Side note, this is not a challenge, let’s not try to ruin anything!?! There are no guarantees in life, aside from taxes and death. In all seriousness, one of the things I love most about these products is you don’t need 20 different products to clean your house. I’ve seen a list of over 100 things to clean with just a damp EnviroCloth. Sure, Norwex has a bunch of different products available and some seem to be designed with particular jobs in mind but in my opinion, you really could get by with an EnviroCloth, Window Cloth and Dusting Mitt for a good majority of your home. These products really do work better than anything else on the market. The product that had me 100% convinced is the All Purpose Kitchen Cloth. If you have a greasy stove, use this cloth and you’ll immediately understand what I mean. Prior to Norwex, I was using white vinegar and it does a decent job at cutting grease but there was always a slightly greasy film left behind. A few swipes with this damp Norwex cloth and my stovetop looked brand new. I was amazed! All of the cloths I’ve used have performed just as well. Who wouldn’t be interested in reducing cleaning time, eh? Cleaning with microfiber as opposed to standard cleaning cloths and chemical products wins hands down every time because microfiber mechanically removes dirt/debris/germs/etc from the surface as opposed to spraying either a chemical or a green cleaner and wiping it off with a standard cloth. In my experience, those products just smear everything around leaving a bigger mess. I’ve heard some people say your cleaning time can be reduced by 50-75% when you clean with microfiber. That means, if you spend 4 hours cleaning per week, that’s 2-3 more hours a week you’ll have for other things and if you’re anything like me, that “to do” list isn’t getting any shorter. Forget about lugging around that caddy full of cleaning products. Why not simplify things when Norwex microfiber and water is truly all that you need to clean probably about 80-90% of your home. Even with my own DIY green cleaners, I never made things easy on myself. When I went to clean the bathroom mirrors upstairs, the paper towels and cleaner were downstairs. 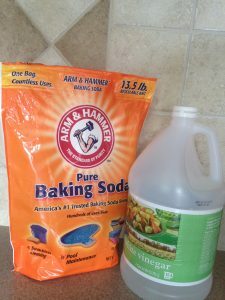 When it was time to clean my shower, the baking soda was downstairs. Now I just have a set of cloths in my bathroom upstairs and a variety of cloths downstairs for the kitchen and other areas. You could even give your kid or your significant other a damp Norwex cloth and have them wander around the house cleaning things. Doesn’t get much easier than that. These cloths come with a 2-year warranty, however, I know several people who have had them double or triple that amount of time. Studies show the average American household spends roughly $600/year on cleaning supplies. Imagine if you could spend a fraction of that one time, and not have to buy anything more for say 5 years!?! The investment is upfront but saves you money over the life of the products. Hawaii here we come! As we’ve been on our journey to a more environmentally friendly lifestyle, my sense of smell has changed. Once you start removing all the scented products from your daily routine, you become more sensitive to strong scents. Walking through the mall gives me an instant headache with all the perfume and lotion stores. These cloths don’t have a smell and most of the consumable products Norwex sells have a nice, light scent. Studies show common cleaning products are a trigger for asthma and can exacerbate asthma-related symptoms. I don’t know about you but opening a bottle of bleach, window cleaner, floor cleaner, etc gives me an instant headache. My rule of thumb is if it makes me cough, my eyes water or gives me a headache, it’s probably full of harsh chemicals and therefore, not good for me. If I’m cleaning with those products, they are going down the drain and eventually into our waterways. The impact on our Earth is great; our oceans are drowning in plastic and harmful chemicals are polluting our grounds and waterways. Single-use products are draining our wallets and piling up in our landfills. With no harsh chemicals in the products, they are safe to use around and by kids as well as your four-legged friends. Not only does Norwex partner with a company to turn waste into renewable energy, but they also have extended this partnership to include Norwex microfiber products. According to Norwex, “this safe and technologically advanced waste disposal method also generates clean, renewable energy; reduces greenhouse gas emissions and supports recycling through the recovery of metals”. Microfiber has been in the news lately as an environmental concern (shedding of microfiber and fleece during laundering and finding their way into our waterways). As a leader in microfiber technology, I have no doubt Norwex will continue to look for ways to produce products in a way that continues to maintain their commitment to our health and the health of our planet. 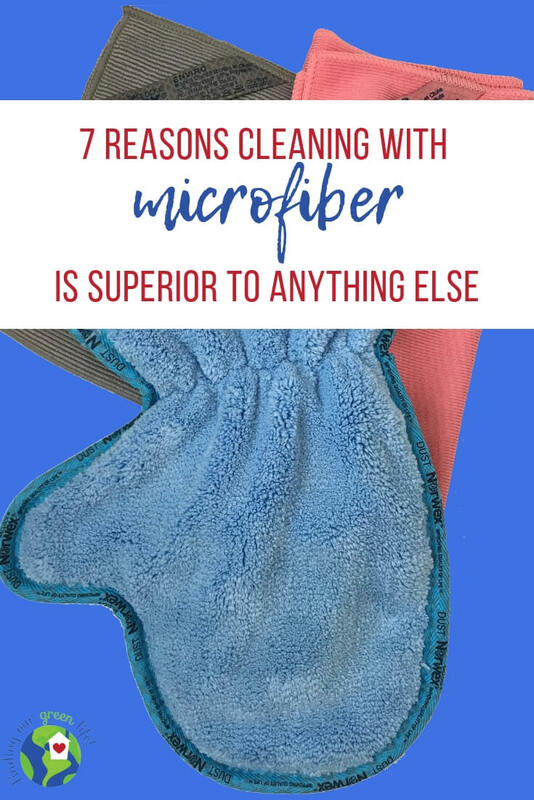 Whether you’re looking to clean with fewer chemicals, spend less time cleaning, spend less money cleaning or just simplify your cleaning routine, I think you’ll be very happy with how well microfiber does at even the toughest jobs. While the production of microfiber does impact the environment, I am still comfortable using it because it does cut down on many of the single-use cleaning products like paper towels, Swiffer-type cloths, make-up remover pads, etc as well as all those plastic bottles that common household cleaners come in and have to be replaced over and over again. It’s a balancing act I suppose. 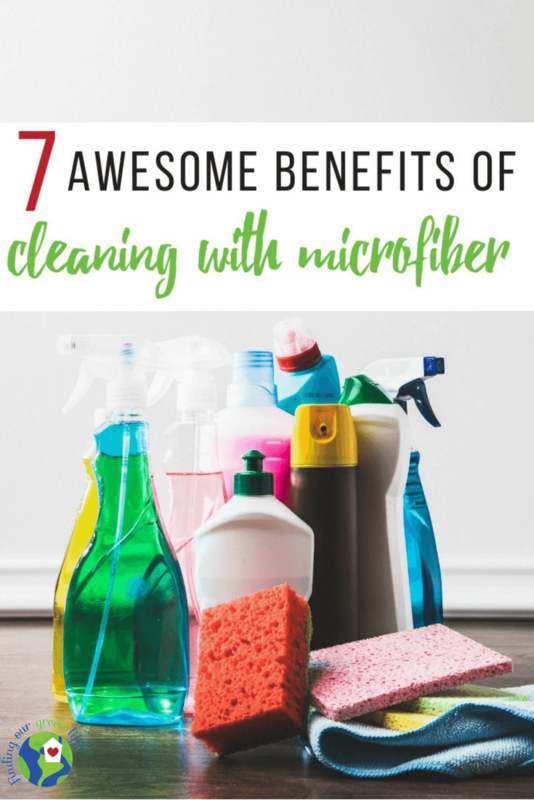 Do you clean with microfiber? If so, what is the worst mess you cleaned up? If not, what’s holding you back? I have heard so much amazing stuff about these Norwex cloths. I have friends who swear by them! Ohwow sounds eeally good. I actually enjoy cleaning. Lovely detailed article. I’d be more than happy to let you come clean my house :). Thanks for stopping by and reading. I have cleaned with microfiber cloths for years now (I refuse to use paper towels) but I have not heard about Norwex towels. Seems like I have been living under a rock! I will have to try these out asap!! Thanks for sharing! YAY for no paper towels. Norwex is the leader in microfiber technology so their cloths and towels are top notch. I’d be happy to help you with any questions about the products. Thanks for stopping by my little part of the internet.